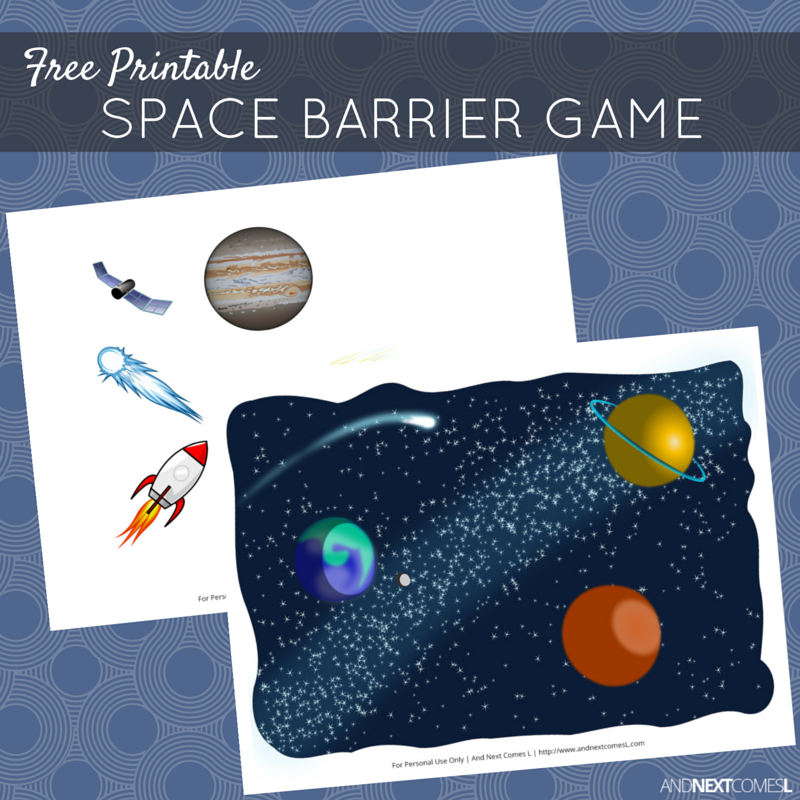 This outer space themed free printable barrier game is a perfect way to work on speech and language goals. I designed another free printable space themed barrier game for kids. 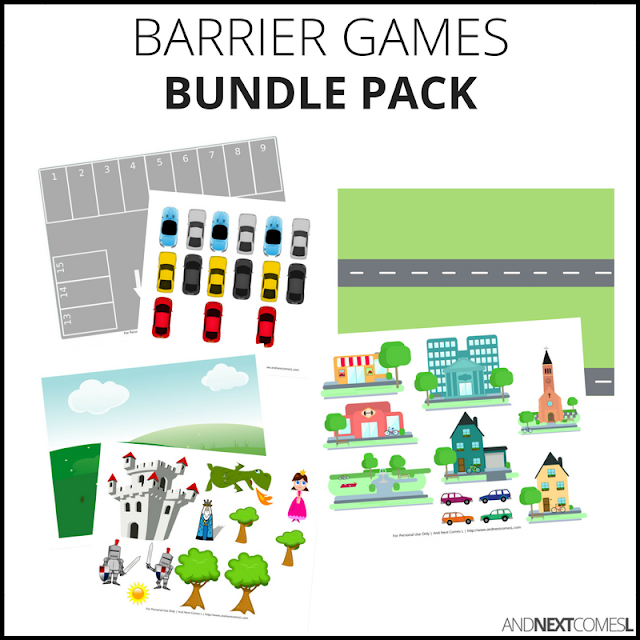 This one has more items than the on the moon barrier game, which was designed to be more simplistic, but it is perfect for kids who love planets and all things space, like my son J. This space themed speech therapy game is a great way to work on a variety of speech concepts, as I explain below, as well as, a fun way to work on social skills.